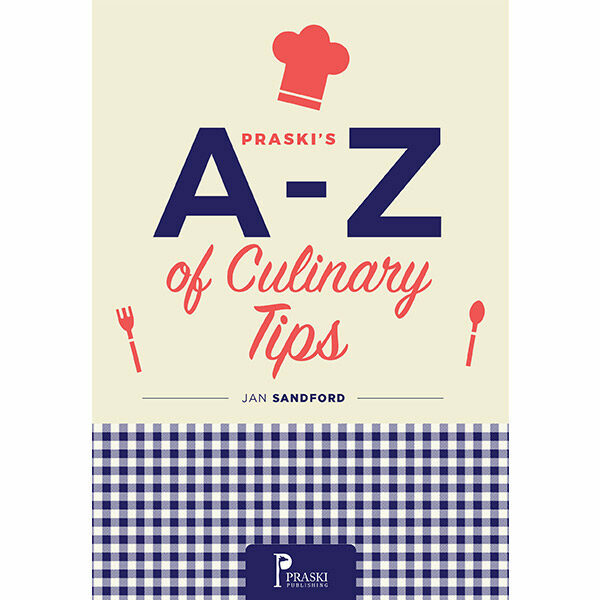 Praski’s A-Z of Culinary Tips offers lots of practical nuggets of cooking related advice. Praski’s A-Z of Culinary Tips offers lots of practical nuggets of advice from how to remove the skin from an almond to how to stop eggs cracking while boiling. Staple foods such as cheese, chicken and potatoes are all covered as well as more exotic foods and preparations such as quince and Teriyaki Sauce. Whatever your preferred style of cooking or level of knowledge, you are sure to find something new, helpful and interesting in Praski’s A-Z of Culinary Tips.